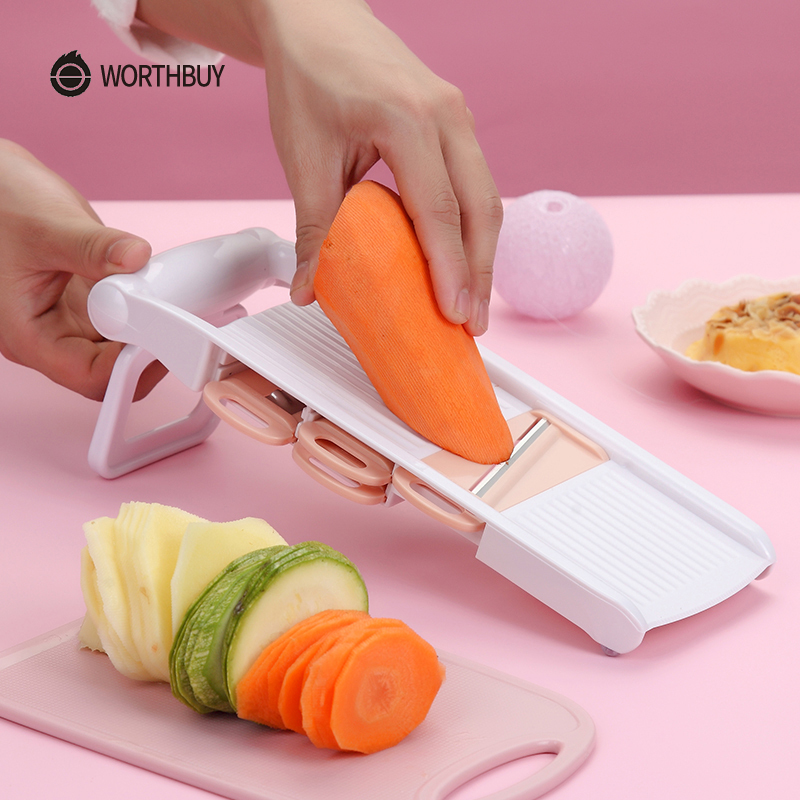 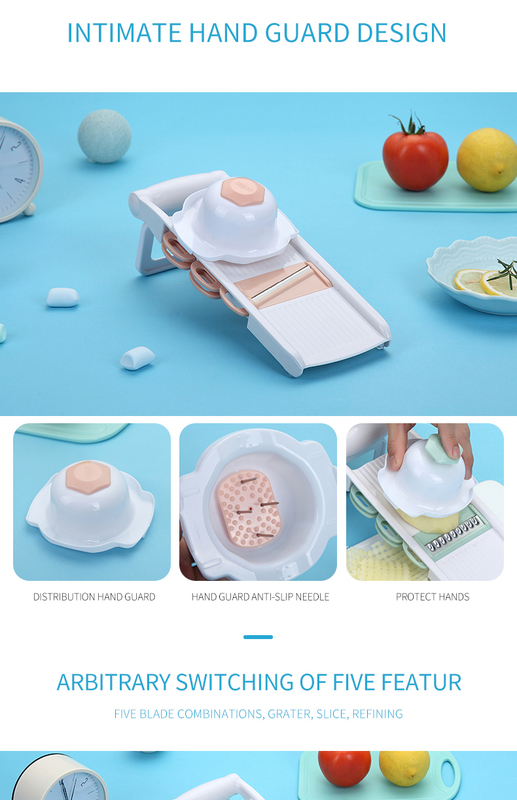 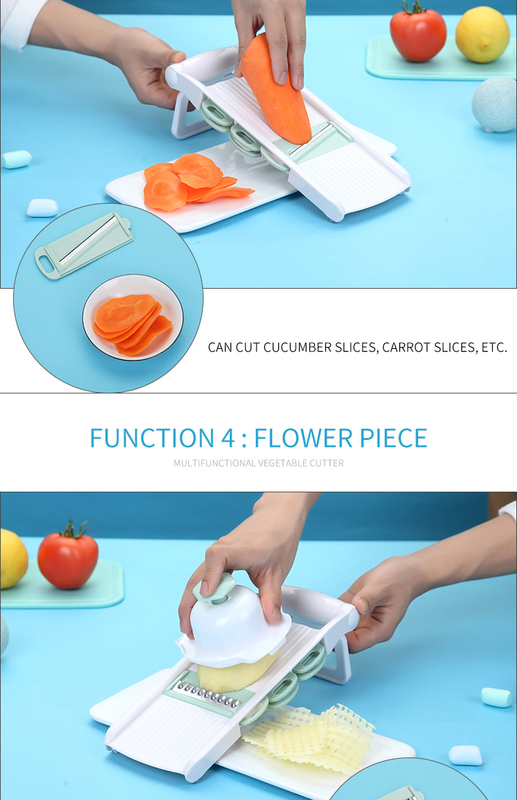 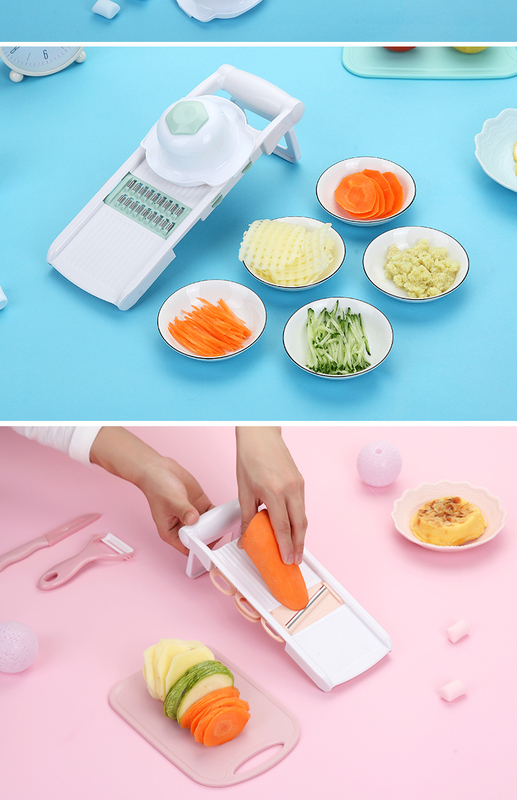 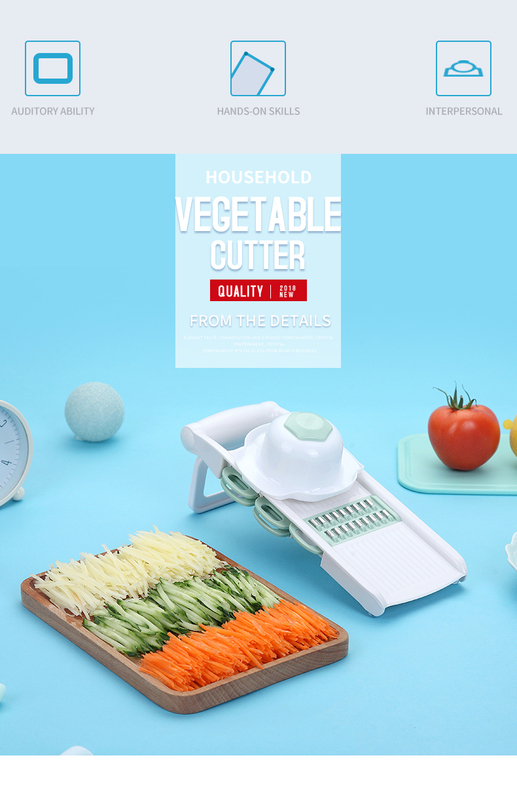 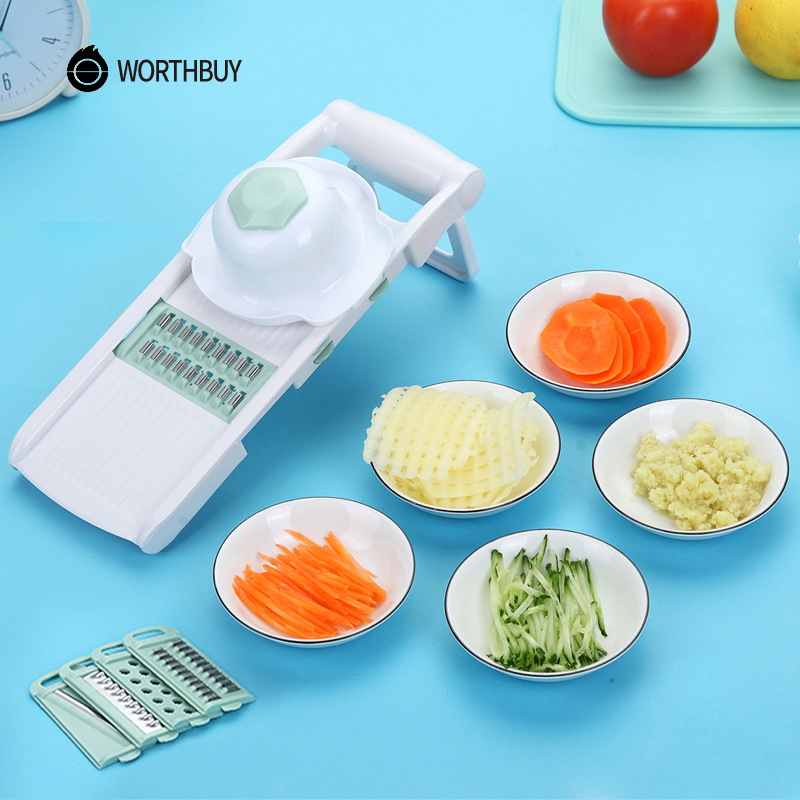 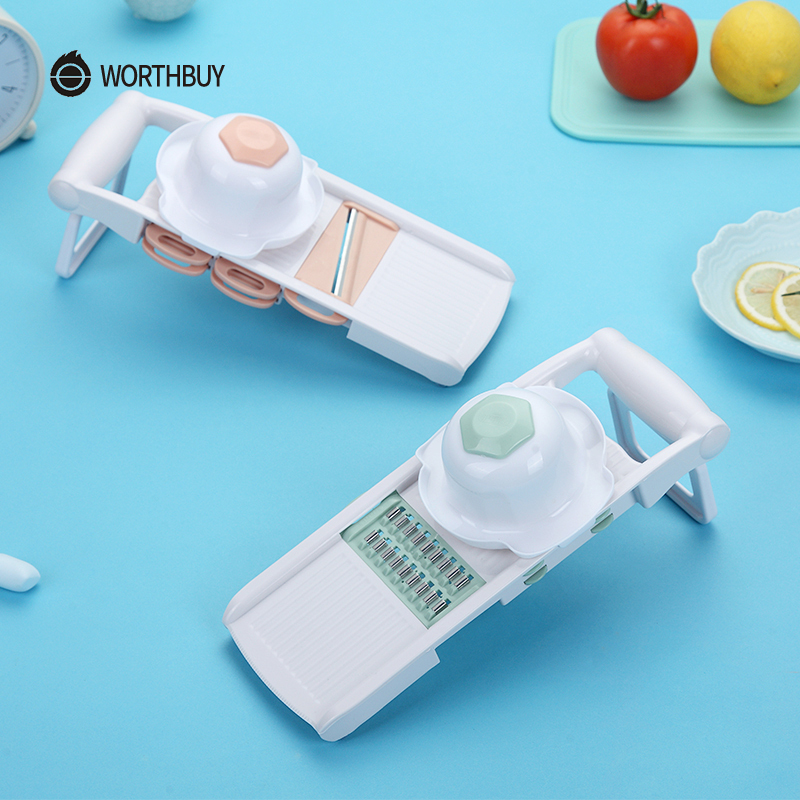 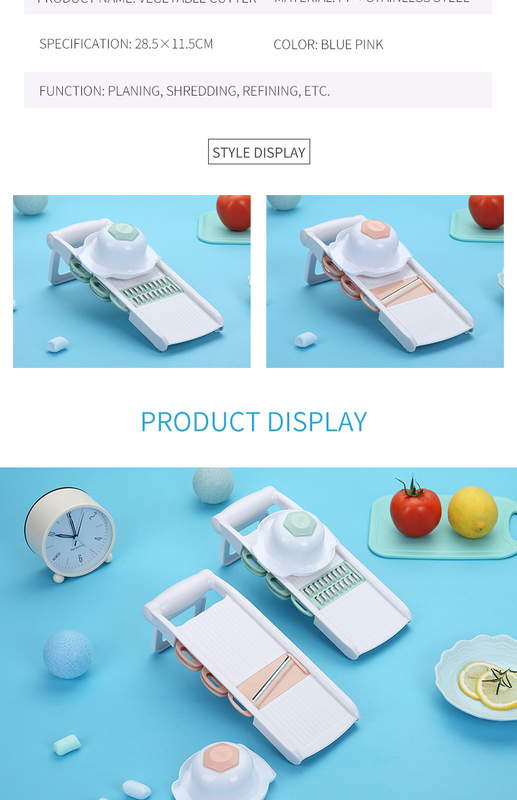 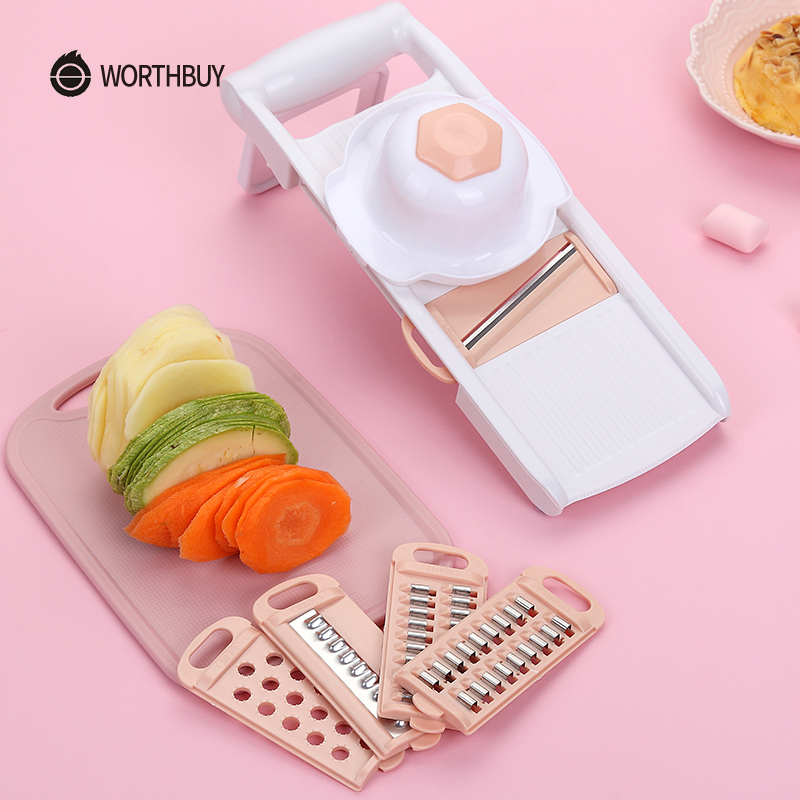 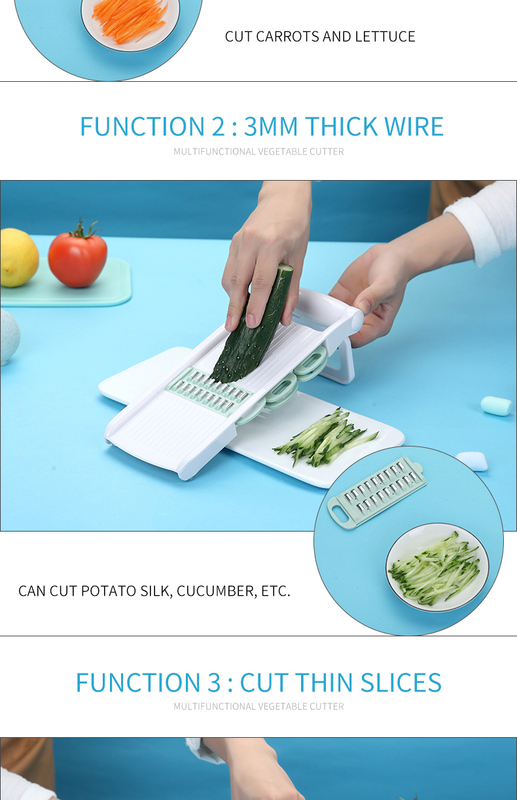 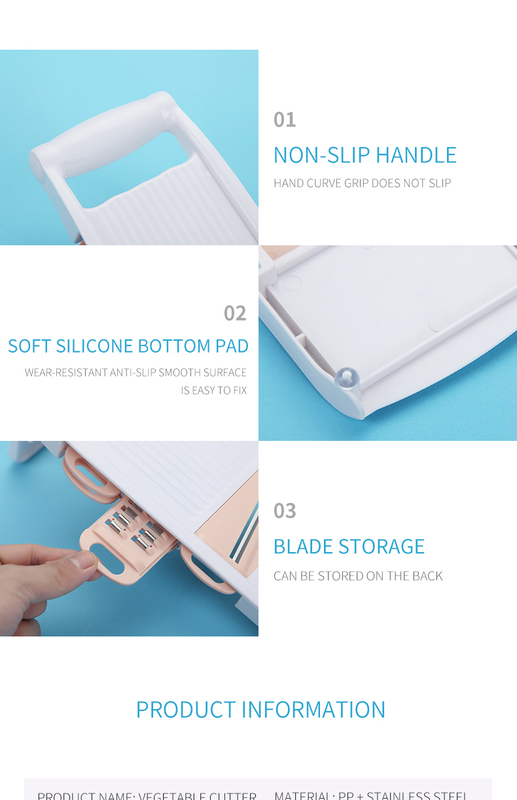 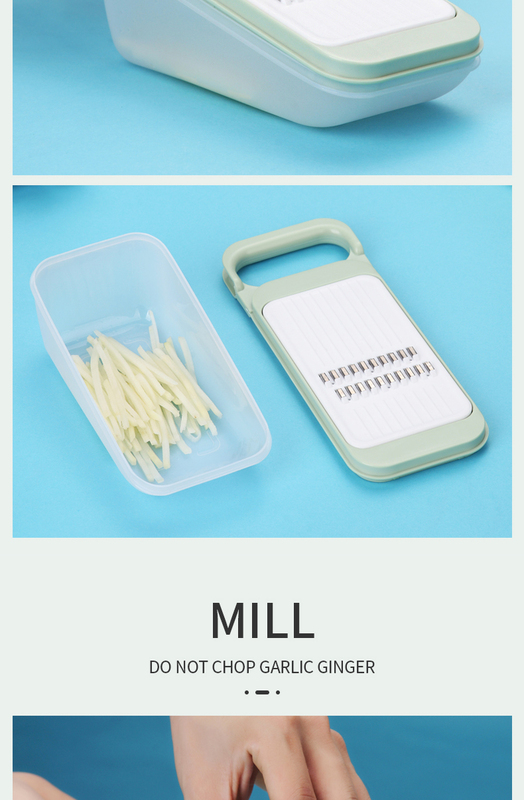 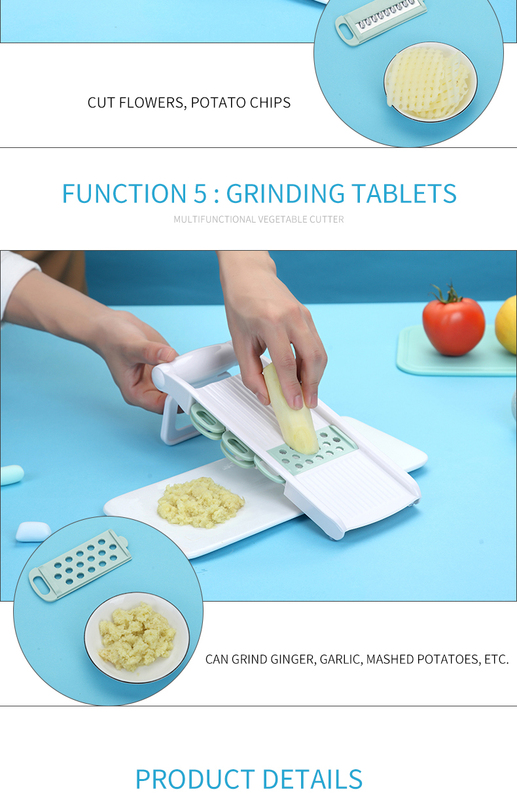 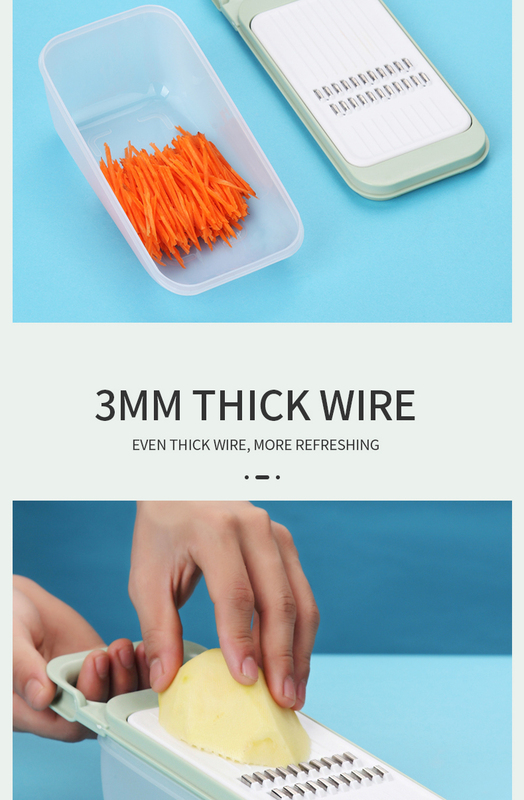 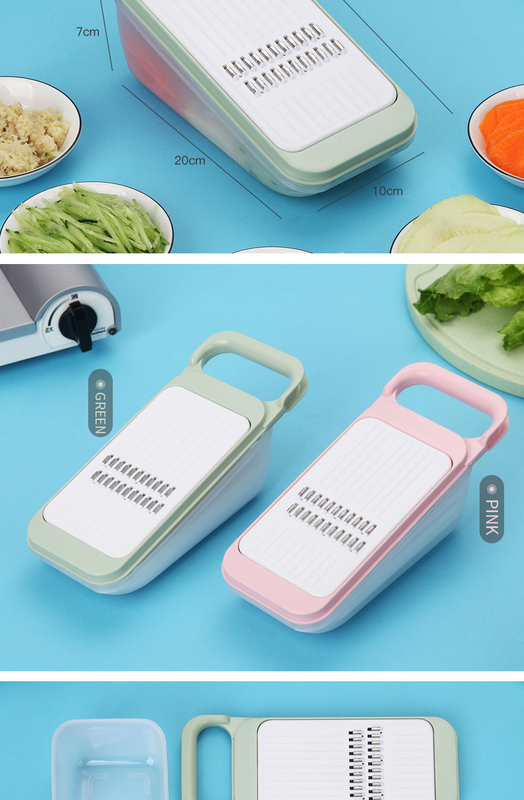 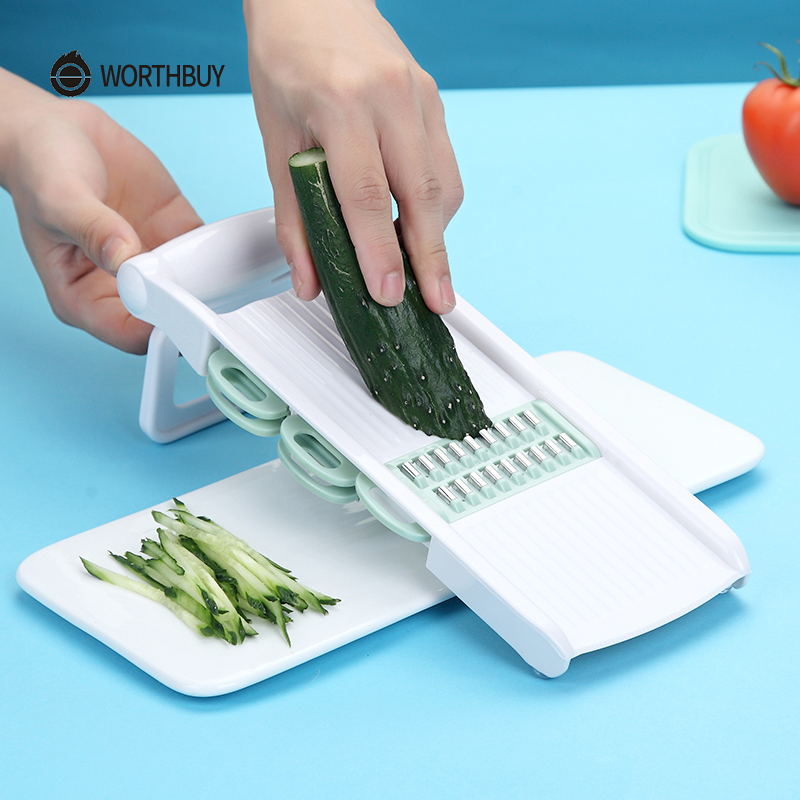 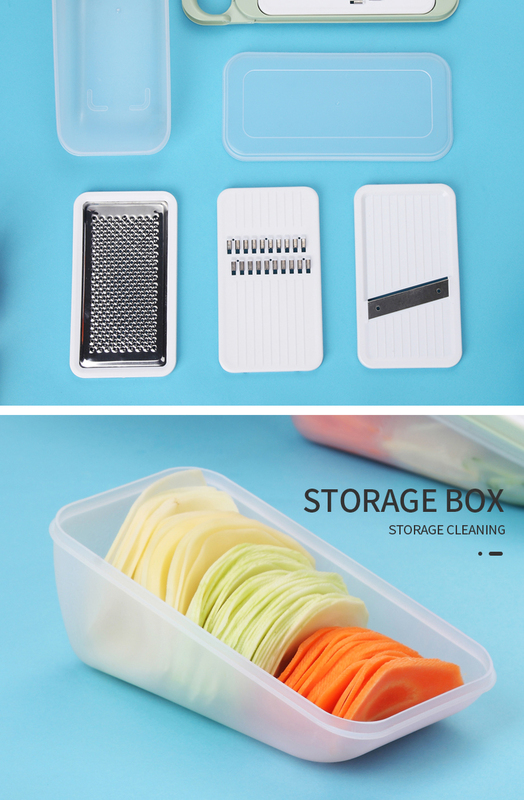 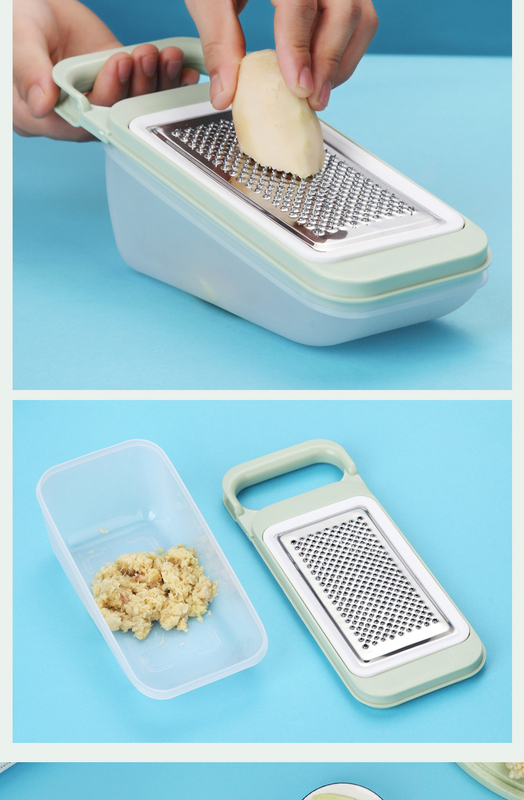 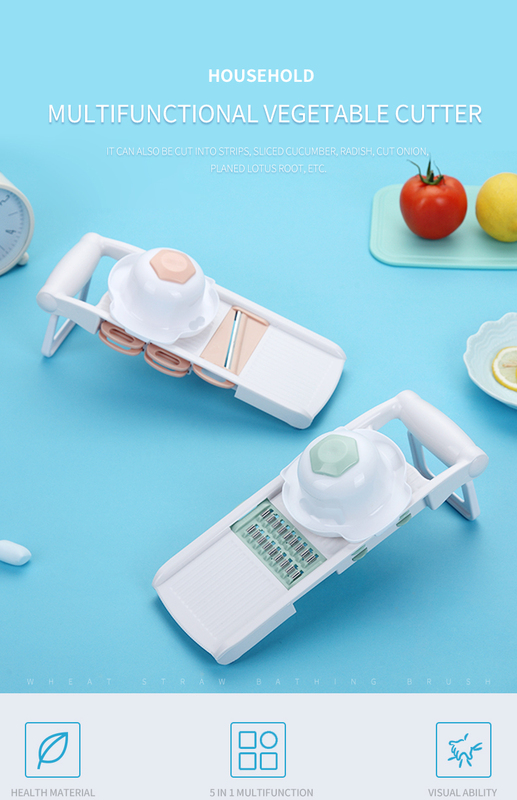 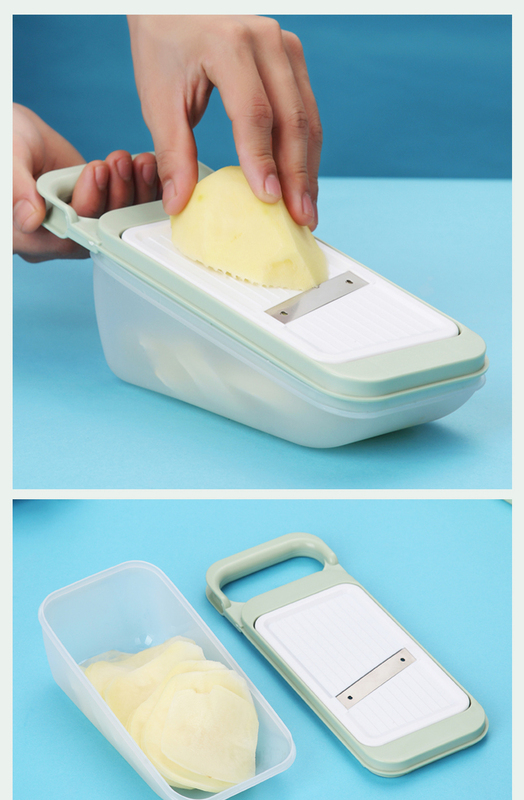 1.Kitchen multifunctional vegetable cutter with rack.Saving time and use conveniently. 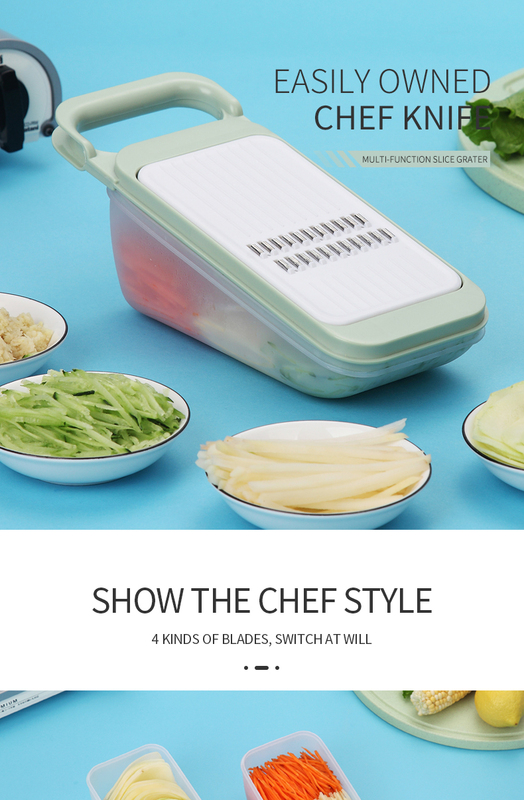 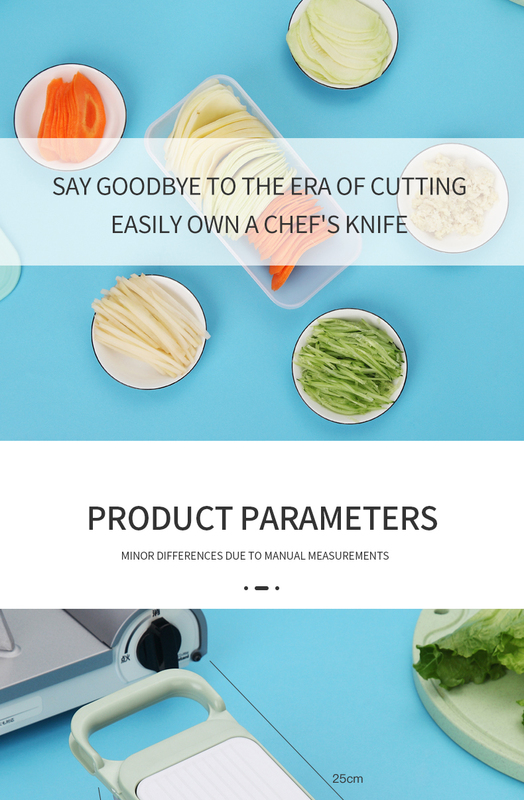 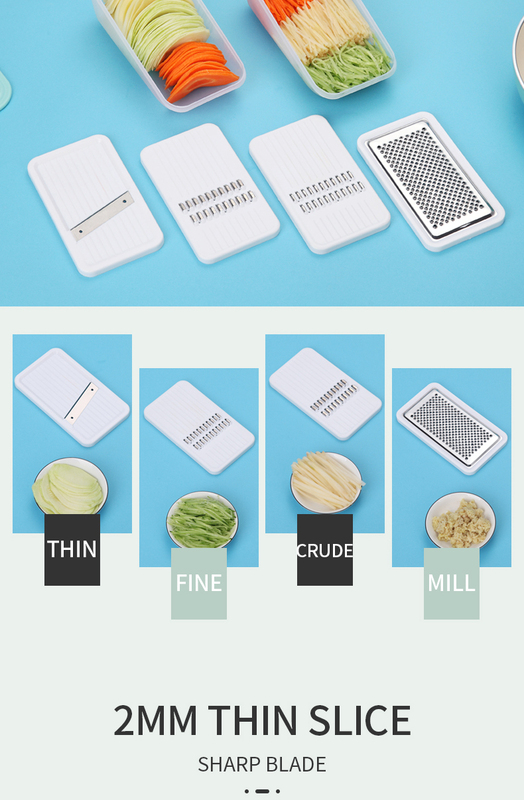 2.Different types of stainless steel blades for variety of slicing and cutting. 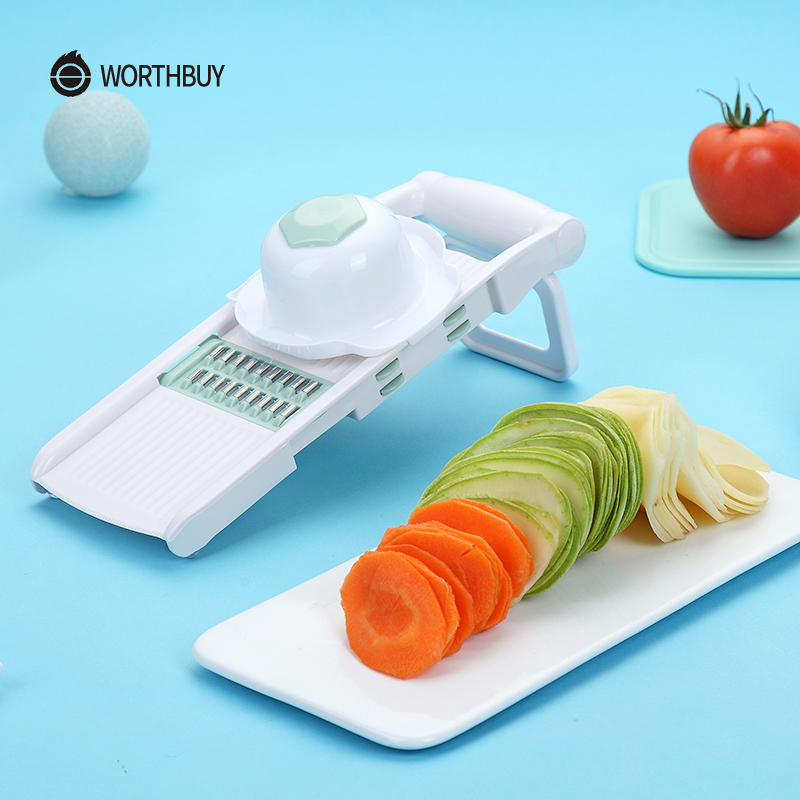 3.The blade is made of high quality stainless steel.Durable and easy to clean. 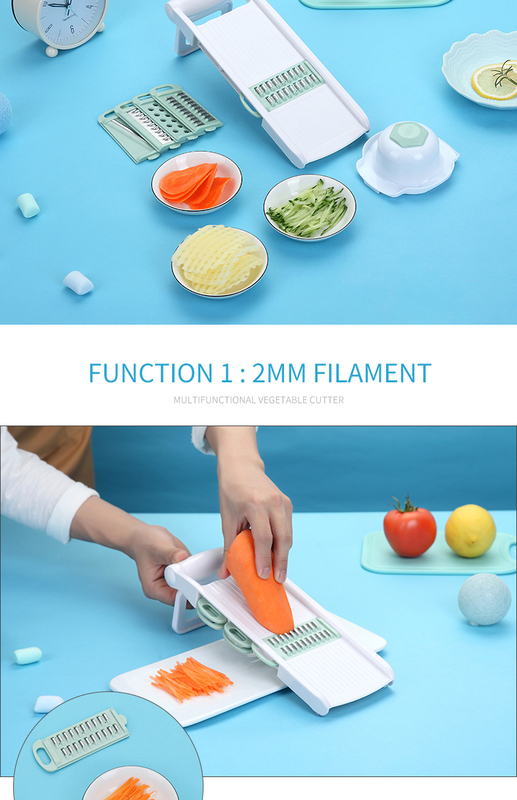 4.The main body is made of food grade ABS and PP material.Safe and harmless.